Want to Learn English for a Hospitality Job? Start Here! Do you want to meet people from all over the world? Are you friendly, outgoing and polite? Are you also thinking about your future job or profession? If so, a career in hospitality—the business of welcoming and helping guests—may be for you! There are many, many different jobs in the hospitality field. They all require specific skills and knowledge. But there is one skill that is absolutely necessary for all of them. Can you guess what it is? A good level of English! Knowing how to speak English is the most important skill to have for hospitality jobs. Why? You will be communicating with (talking to) people who may not know your native language. You may not speak theirs either, so English will likely be your common language. Learning English for hospitality can be fun. With the following resources—online courses, books, exercises and quizzes—you can practice your English and get your dream hospitality job! English for hospitality has specific phrases, expressions and vocabulary. But before you begin learning them, you need good general English skills. You want to be able to understand people and speak to them freely! The following three resources will help you do this. MOOEC is a great collection of free English lessons. Here, you can learn grammar, practice speaking, read and translate texts on many topics. Lessons are available for different language levels from basic to proficient (advanced). You can start a course at any time and there are no deadlines. That means you can take the course at your own pace (speed). Coursera has a big selection of online courses on many topics. You will be most interested in its courses on business English and speaking English professionally. After all, this is exactly what you are going to be doing when you start working in hospitality! Some courses do have a start date that you might have to wait for. You can access all video lectures and some assignments for free, which is all you really need to learn the content. If you do choose to pay for the course, you will have access to all graded assignments and receive a final grade and certificate when you finish. FluentU is an online immersion platform (and app) with entertaining real-world videos. FluentU takes videos—like music videos, commercials, news and inspiring talks—and turns them into personalized learning lessons. The program includes multimedia flashcards (flashcards with video! ), interactive subtitles, downloadable PDFs, vocabulary lists and more. Its most unique feature is Learn Mode. Learn Mode asks you fun questions to teach you the phrases and words from each video. This is a great way to learn real English because you will get to see and hear lots of native speakers with different accents, speaking their normal speed. Start your free 15-day trial today! The hospitality field is very large. There are so many professions to choose from. You could work at a hotel, in a restaurant, café or club. You could become a flight attendant or join a cruise ship crew (team). What do these professions have in common? They require exceptional customer service. You will be working with customers all day long. Luckily there are some awesome resources to help you become really good at customer service! Saylor Academy offers a beginner’s customer service course that introduces the principles and skills you will need. It is written completely in English, so an intermediate level of English is good to have. You can study at your own pace and even take a test after every section. Saylor courses have their own textbooks in PDF format, links to videos, audio lectures and all other study materials. All courses are absolutely free! You only need to register for an account with Saylor and then sign up for as many courses as you like. Customer service requires a lot of interaction with different people. Because you will be working in hospitality, you will be spending a lot of time talking to people from different countries and cultures. This free online course (from Coursera) will help you improve your English while learning to help customers from all over the planet. There is a start date for the class, but don’t worry. Popular courses like this one get repeated every several months—and they are still free! Being polite and remaining calm in all situations is an important skill for any hospitality professional. You can practice your politeness vocabulary and do fun exercises and quizzes online at EnglishForMyJob.com. This website has many different expressions used in many hospitality jobs: bartenders and cocktail waitresses, baristas and café staff, flight attendants and cruise ship workers. Every page is a set of vocabulary exercises, including multiple choice and fill in the blanks. You can check your answers easily at the bottom of the page. Also, every worksheet (exercise page) may be downloaded for you to study offline. If studying online in general is not your favorite thing, there are many books to help you prepare for work in hospitality too. This book covers hospitality topics with many examples of real-life situations and dialogues with customers. The book comes with an audio CD, so you can practice listening as well as reading the material covered. The book is structured around dialogues that could happen as part of your work life in hospitality. Each dialogue has explanations for unfamiliar words and expressions, so you will learn something new in every lesson. 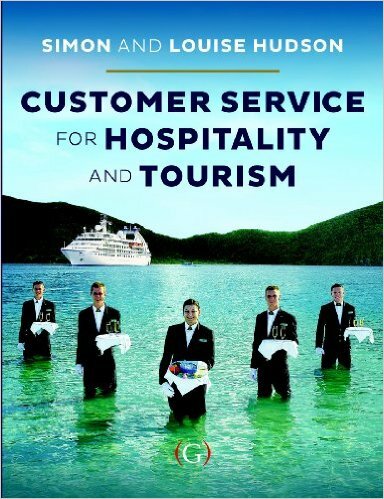 This is a practical, easy-to-follow book that focuses on customer service specifically for tourism professionals and people who work in hotels and restaurants. Each chapter includes real business stories and case studies. 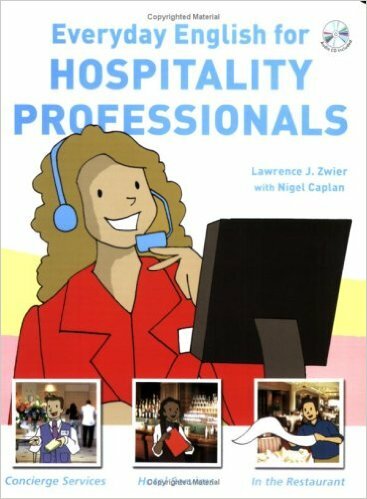 The book is useful for understanding what it is like to work in hospitality. Rather than focusing on specific vocabulary, it gives you the big picture. It is also a great resource for learning about the business side of the hospitality field. The hotel industry is one of the most popular hospitality sectors. The ability to speak English is necessary for any hotel job. Learning relevant (important) hotel vocabulary is a very good start. This is an excellent self-study resource, especially if you are planning to work in a hotel. Best of all, it is written for the elementary level of English. 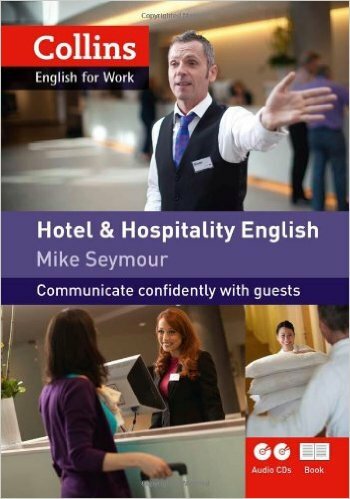 Every chapter talks about one topic or situation related to hotel operations, with easy explanations and tips (advice) on grammar and vocabulary. Even if you are just starting to study English, the book will be very useful for you. This awesome deck of multimedia flashcards on FluentU has over 100 useful words and phrases for people working in hotels. Efficiently learn what all of these words mean with simple definitions in English, images and audios. Check it out on your 15-day trial! If you are looking to get a job as a hotel housekeeper, this deck of FluentU flashcards will teach you the words you must know. Housekeeping has its own unique words that may be unfamiliar to you right now, but you can learn them all! Like the previous deck, each word is explained in easy English and has an image and example sentences. The audio for correct pronunciation is also provided. If you enjoy making delicious cocktails and enjoy working late at night, becoming a bartender makes a great hospitality career choice. Speaking English with confidence is all you need—plus some really fun bartender vocabulary! DrinksMixer has a list of essential bartending words that you simply need to know. The website provides a long list of common terms and phrases explained in English. It will be the most useful for learners with an intermediate level of English and above. If you prefer espresso over alcoholic drinks, you may be looking for work at a café or coffee shop as a barista. Some people say that making coffee is an art. There even are courses to help you become a barista. If you are looking for online resources, BaristaGuide will be a great help. There are several categories of content on the website. Knowledge will be the one most useful for you. Look for common barista terminology, espresso tips, advice on working as a barista and even on opening up your own café! Becoming a member of an airline cabin crew is a dream of many people, and it is easy to see why. Flying among the clouds is an adventure that you can experience every day. Flight attendants need to have perfect English, because it is a truly international profession. Global Aviation is a website with a lot of useful information to help you learn aviation English. There are lessons, tutorials and articles. The resource is great not only for flight attendants, but for pilots and airline managers as well! Each lesson includes an article on an aviation topic, several exercises to practice what you have learned and an answer key. You can also improve your listening skills and learn the correct pronunciation of aviation terminology by listening to the audio version of each lesson, located on top of each post. Some lessons have videos, too. Oxford University Press has a fantastic self-study book that will help you understand the airline slang in no time. It is a textbook that covers a lot of aviation and airline topics, has practice exercises, vocabulary and grammar tips. Study it at your own pace! There is a free practice test available for it online, too. Casinos combine many elements of the hospitality industry; they often have restaurants, bars and even hotels inside them. Many resources already recommended will help with a career in a casino. Plus, there are also resources for you, if you would like to work as a croupier (card dealer). Job Monkey provides an excellent glossary for croupiers. This list has the most common terms and expressions used in casinos, as well as their definitions. It is a good place to start learning casino vocabulary. My English Language has a whole page for casino vocabulary. There are examples of common questions and comments by players, as well as terms and expressions for each of the popular casino games (roulette, blackjack and poker). All that content is found on one long post, so keep reading until the end! 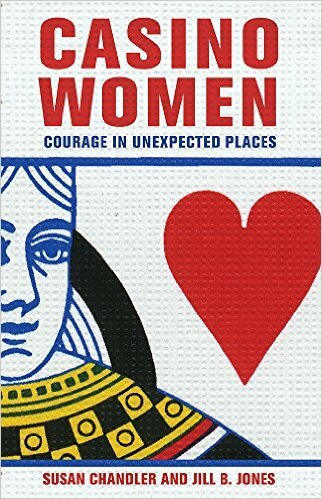 If you would like to know what it is really like to work at a casino and to test your English at the same time, this book is a wonderful choice. It talks about the industry of gaming and the role of female workers in it, which is often not an easy partnership. Happy reading! Maritime English covers words that are spoken on board of ships, cruise liners (ships) and other sea vessels! Working on a passenger cruise ship, you will quickly learn the necessary expressions and common terms. This test will help you find out your language level. Unfortunately, you have to buy the whole test, but there is a free sample version of the test that you can take right now. Simply select your language, read the instructions and follow along. The questions will test your vocabulary, grammar usage and listening skills. Marlins also has courses in Maritime English that are quickly becoming required study for many cruise ship companies. If you are getting ready to work on a cruise ship, ask your employer. They may be able to provide you with free access to these courses! They are not free, but you can start by downloading some study packs and progress tests available online to try them out. Hopefully, these 20 resources will help you get started with the exciting process of learning English for hospitality. Mastering English is a great first step towards success in the hospitality field. So many job opportunities are waiting for you!